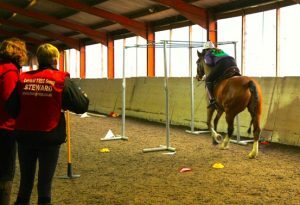 I first tried TREC after it was recommended to me by a couple of ladies at the yard where I keep Toby, both of whom used to compete. I had tried most disciplines but Toby never was really built for the dressage arena! I had settled on jumping and pleasure rides. The first time I tried TREC, I knew we were going to enjoy competing in it for as long as we could, Toby enjoyed it too. I started TREC a little over two years ago by attending a one off training session run locally. Already I prefer it over more popular disciplines such as Dressage and Showjumping. I feel that it focuses my attention more on horsemanship, confidence and teamwork than form and accuracy, though accuracy is important for many of the obstacles. I’m one of the youngest people currently competing in the TREC Winter Series, which is a shame as young riders would get so much out of it, but I enjoy it anyway. Age doesn’t mean anything if you don’t share a close bond with your horse, so I feel that I ride on equal footing to the adults. I am 14 and have only competed in two seasons of Winter TREC, but I already know a lot of people and choose my events with the small community of people that I now know. 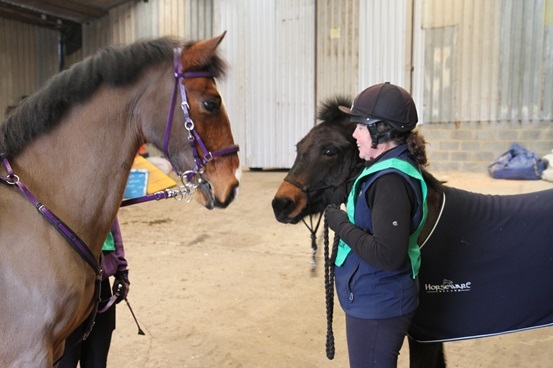 The Central TREC group is full of riders that are willing to help people that are new to the event and teach them the rules. If you ask, someone will explain what an obstacle is and how you score in it. The only reason I am ranked so high in the table as a younger rider is because of all of the help and support I have received from the Central TREC group riders and judges. If you go to relaxed events, you can ask the judges what your next obstacle is if you get lost, or, alternatively, you can write up your route and put it on your arm. But it’s ok to get it wrong sometimes too. We all make mistakes, I did recently by totally missing out an obstacle, but I learned from it. I will read the routes more carefully in future! Trust is the most important aspect of competing in TREC, as there are lots of obstacles that have been designed to spook horses. 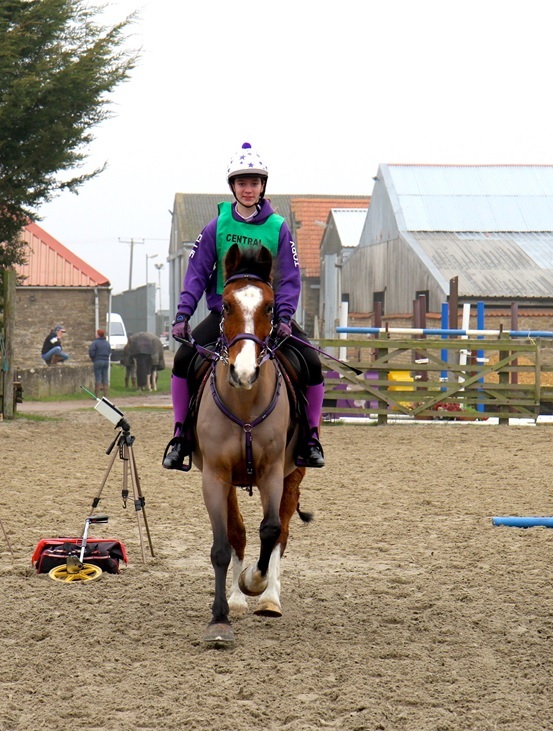 Mutual trust is key, as you will have to ride or lead the horse over unnatural surfaces and around ‘scary’ fillers. The hardest obstacle for me is the ridden gate. This is because Toby and I had a bad encounter with it before that resulted in a rather horrific black eye. It takes a lot of trust to ride in TREC and a horse that isn’t spooky also helps. Pairs is good if you know someone already into TREC or you both want to start. I competed once in a summer TREC last year with Sarah Wynn who agreed to take me with her as, at the time I was under 14 and not allowed to ride alone. I have now competed in my first winter series pairs competition with Sarah Hemmings and her wonderful mule Honey, it was one of the most enjoyable classes I’ve done. I love TREC because you don’t have to be good at it to be well known and recognised, you just have to be polite and kind to the other competitors. All in all, TREC is one of the most relaxed and fun disciplines you can do in horse riding, no matter your age. Don’t be put off by the fact that lots of people will be older or younger than you; all of them will be kind and helpful if you are polite. TREC is one of the best things I have done, and I plan to continue it for much longer.